When Marcus Mazzaferri set off from Campo, California at the southern terminus of the Pacific Crest Trail, his plan was to hike the all the way to the other end at Manning Park in British Columbia. With a single mis-step in near-freezing water about 15 miles north of Tuolomne Meadows in Yosemite National Park, his plans went terribly awry. 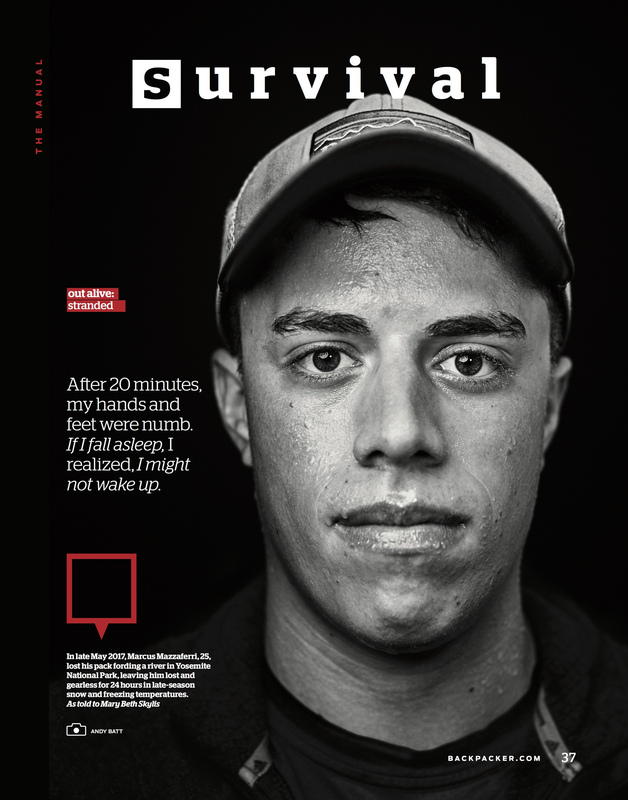 He shares his story in this month’s issue of Backpacker Magazine. Dramatic portrait photographer Andy Batt created this compelling image.